At HymanPro Fitness we have learned that keeping players accountable while getting them outside their comfort zones has been an effective way to train our athletes. Our system provides players with the basketball skills necessary to allow the athlete to perform at an elite level on the court. 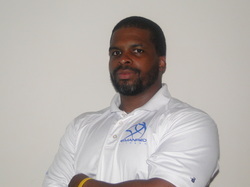 As a company we take a proactive approach to basketball player development. At HymanPro Fitness we Practice the skill, Improve the skill, and Master the skill in game situations. Our programs are designed to give our athletes tangible results by activities using progressive methods of basketball player development. We interview all athletes with parents prior to acceptance into one of our programs, parents and athletes must commit to the program and be willing to put in the work necessary to get better and excel.